13GHz of real time bandwidth. AGILENT Technologies ’s DSO80000 series of oscilloscopes and the Infiniimax II probing systems have won the DesignVision Award in the test and measurement category at the recent DesignCon awards and recognition program hosted by the International Engineering Consortium (IEC). By next year high-speed serial buses such as Fibre Channel, fully-buffered DIMM (FBD), serial ATA (SATA), serial-attached SCSI (SAS) and PCI Express will have performance points that reach into the 4Gb/s to 8Gb/s range. 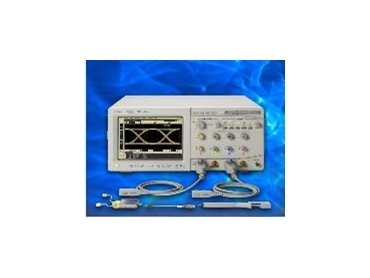 The Agilent Infiniium DSO80000 is required to capture the frequency harmonics and make accurate and repeatable measurements on such high-speed signals. The Agilent Infiniium DSO81304A gives designers 13GHz of real time bandwidth, which translates into higher signal fidelity, more accurate and repeatable measurements and improved test margins. It allows previously hidden high-speed signal components to be seen.